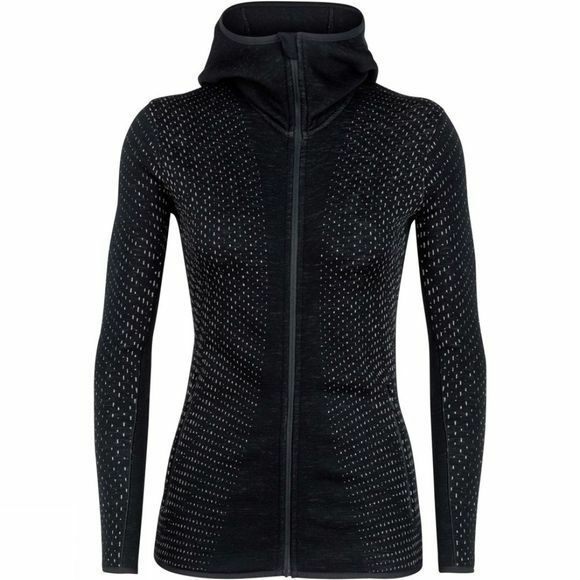 The Womens Elemental LS Zip Hood Crystal Fleece from Icebreaker is our go-to heavyweight performance midlayer, ideal for cold-weather training, winter running or stormy resort skiing. 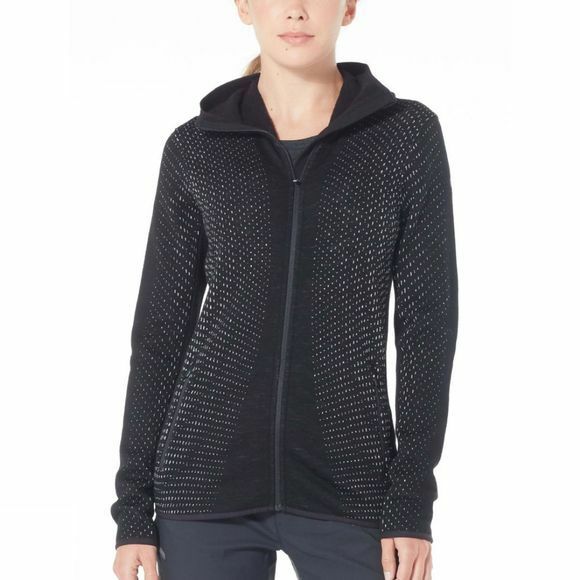 Made with a heavyweight jacquard fleece that combines soft, breathable and odor-resistant merino wool with a touch of Lycra for active stretch, the Elemental breathes efficiently over a baselayer and provides ample insulation when worn under a hardshell. The fitted hood adds additional warmth and protection on cold, blustery days. Offset shoulder seams prevent chafing when you’re wearing a pack, and two zippered pockets keep your hands warm or store small essentials.